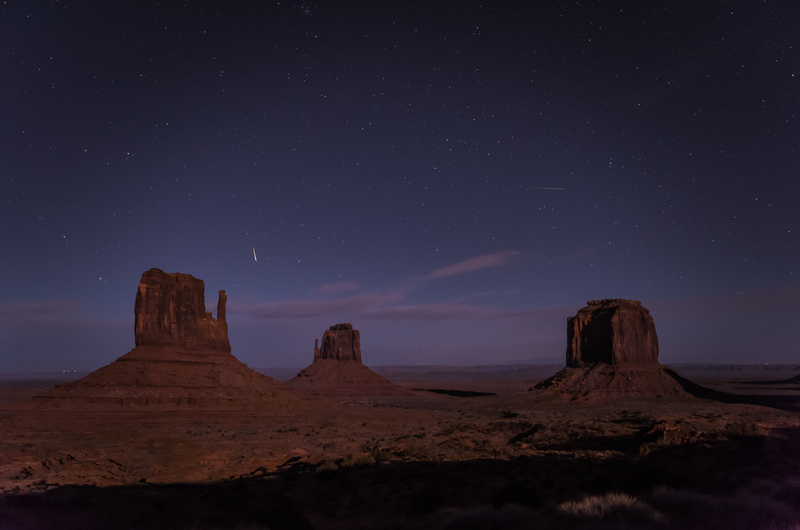 It was full moon and everything down the monument valley was bathed in magical silver light. As the moon sunk below the horizon, shadows crept upon the landscape making distinct patterns of the buttes on the ground. Stars were all alight when the moon made the final descent. I watched in awe from the comfort of my tent as the shadows and highlights played hide and seek with occasional meteor showers of the Leonids burst across the night sky.